I’m very glad to have you with me. And, I probably know much about you because I know a lot about the fibromyalgia you suffer with. I know the feeling of isolation when friends and family say “you don’t look sick” and the frustration that comes when you try to explain how fibro feels but they don’t “get it". What about the feeling of “being defective” or different from everyone else; and if you have a severe case of fibro, the despair and eventually the thought that if the rest of my life is going to be like this, I don’t want to live it! Before you continue reading, our sitemap provides you with a "god's-eye" view of this website laid out in "outline format". It shows the titles of the major sections as well as subpages in an easy to understand manner AND each entry is a link to the respective page. Click on the above link. When finished looking over the sitemap, just close the page to return here. "Fibromyalgia is more complex than many of our modern day conditions due to the many variables"
We didn't just wake up one day and have fibromyalgia. We had a propensity for developing fibromyalgia, and when enough of the right factors coincide, we have this complex condition that is still widely misunderstood, poorly depicted and often mistreated. Yet fibro is more unique and complex than most of our modern day illnesses, and that is why doctors have a difficult time understanding and treating fibromyalgia. Without a "silver bulllet" cure, we have to take a different approach. Living smarter with fibromyalgia is about not only creating a stronger "foundation", but also treating the more specific symptoms that are unique to fibromyalgia. 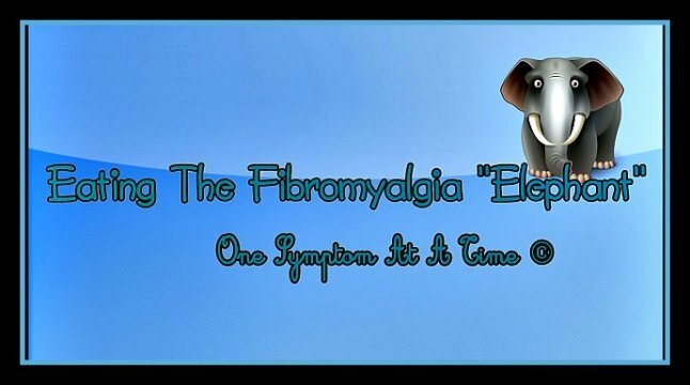 But not just a treatment for fibro, a "smarter" approach. Instead of continuing to de-condition, you will re-condition your body and mind using the techniques I include in my protocol. Only through consistency, can we achieve greater levels of mastery over our fibro symptoms and strengthen our core health against related illness, including the auto immune illnesses that many of us also live with. And only then can we also prevent the progression of symptoms and other illness that may be "lurking around" that corner. My "Living Smarter" approach is based on my experience of living with chronic migraine and MCS almost four decades, severe fibromyalgia for 25-years; my training and certification as an instructor in Body Ecology Diet, an advanced level Colon Hydrotherapy practitioner, and a Certified Personal Trainer; and the toolbox I’ve developed to deal with the symptoms of this complex disease. The protocol that I present here works for myself and others, even living with fibromyalgia and chronic pain since a very young age. Knowing that, I also consider that we are all in a different place; maybe you are new to fibro, maybe you are just sick and tired. I hope you will approach this website as a "study". If you do, you will understand your disease much better, and it will help you to choose the appropriate path in my protocol. I also try to point out how to approach any of my protocol elements. At any rate, you should definitely consult with your healthcare providers, especially regarding dosage for supplements and any fitness program you undertake. Also, make sure you add any supplements to the list of "medications" in your doctor's records. Pages in this website do offer suggestions about your choice of doctors. You will be well ahead in your recovery if your physician is familiar with the symptoms of fibro and the "trial and error" process that is often required for any success with a minimum of side-effects. We have links to support groups that may suggest an experienced doctor in your area. Why don't I use the word "cure" ? Well, first of all, fibro just doesn't work like that. It is a little different than many conditions out here. I have worked with fibromyalgia from various angles as both practitioner and patient and have moved from the depths of despair and acute fibro flares to a more balanced life despite all of the complexities of fibromyalgia. I like to say MORE good days, a more productive and purpose filled life, no matter where you are at. Much trial and error in ALL activities of daily living including my love of running, a passion of mine since a young age even when chronic migraine and fibro were becoming increasingly apparent. Yet, don't be misled, you surely do not have to be a runner. That just happens to be one of my own passions since a young age. The point here is to ask yourself, "What is possible for me?". And, it helps to remember that "faith in one's own healing trumps skepticism of other's healing every time". Never let skepticism keep you down. I know, I have done that myself when I assumed that nobody had it as bad as I did. My success has fueled my passion to share accurate awareness about fibromyalgia and the “tools" for living a better quality of life with all those who suffer from this debilitating, often invisible disease. Join me here on Living-Smarter-with-Fibromyalgia.com as I open that toolbox. My turning point in dealing with fibro and auto immune illness came when I finally (2006) realized there was no "silver bullet" cure. Still, I was unwilling to let it define my life. So, I decided I would “eat the fibro elephant one bite at a time” or really "one symptom at a time!" That’s the path I’ve been on since that time; looking at potential remedies for the "symptoms" of fibro including mind-body conditioning, toxin-free environment, low impact exercises for fibro people, and the best fibro nutrition (both diet and supplements). Even before my "turning point", I had applied my education and experience with clients to my own struggle with fibro. And, I had already noticed that an anti-inflammatory, mucous-less diet had a noticeable effect on my fibromyalgia. Also, I had tried many supplements and prioritized the ones that seemed to help. So I had good momentum in the area of nutrition as I started down my new path to develop a comprehensive protocol for managing fibro. But, I redoubled my efforts to self-test various therapies and every remedy for fibro that was available. Testing and evaluating. Everything except for medications prescribed for fibro. Attending various inpatient and outpatient treatments, including extensive IV therapies, every type of massage and physical therapy that was used for either fibromyalgia or Chronic Myofascial Pain. Remember, I'm not looking for a cure; I've put together a diet, supplement and lifestyle protocol that consists of many elements....actually a lifestyle change. You can learn more of the details of each of these first two components of my protocol by clicking on Fibro Diet or Fibro Supplements. When you've finished checking out those pages, simply close them and you'll return here. By the way, I don’t care if you spell fibromyalgia as fibromialgia or fibromyalgie or just call it fibro as most of us do.. Many years ago, before the proliferation of digital technology, the only way coal miners had to detect the buildup of dangerous toxic gases was to take a canary down into the mine. If the canary got sick or died, the miners would clear out because they knew there was toxic gas present. After suffering since I was 9-years old with hyper-sensitivity to environmental toxins, I've come to the belief that I and others with multiple chemical sensitivity (MCS) are like those canaries. Fibro flares can be and often are triggered by "soft" traumas such as bright lights, loud noise, crowds, weather change, etc. Doesn't it then follow that we shouldn't be surprised that environmental toxins can, and I believe do, constantly trigger our fibro symptoms. So, the third component of my protocol is Environmental Toxins. Also, my video below here in this article about "what works" helps us to focus on things that will help us to create a better quality of life with fibromyalgia. How one person operates their mind and body can be vastly different from how another person operates their mind and body. It became even clearer to me when I flew across the country several years ago to attend three weeks of inpatient treatment for chronic fibro pain. During my 3-weeks as an inpatient, I was shown a video, "The MINDBODY Prescription" about Dr. John Sarno’s work in this area. This ultimately led me to a book, "Freedom from Fibromyalgia" by Dr. Nancy Selfridge and Franklynn Peterson. Her book really hit home with me since she had severe fibro and had a lifelong love of running like myself. It was thru her that I finally came to understand the key role that mind body conditioning played in a workable fibromyalgia recovery protocol. You can learn more by clicking on Mind Body Connection. Again, when finished, close the page to return here. My understanding of the Mind Body Connection was further enhanced when I studied the science that explains it. This happened when I read the book, "Molecules of Emotion", by Candace Pert, PhD, who was an internationally known laboratory (bench) scientist. She was the first to find a key molecule, called a receptor, that is attached to every cell in our bodies and together with neurochemicals generated by our bodies, control 80% of our life processes. These discoveries at the cellular level of our bodies in the last twenty years or so have been truly remarkable and opened our eyes to a new model of how our body and mind operate. The old model of our brain sitting atop the rest of our body and controlling it thru a system of nerve impulses has gone by the wayside. There's more of equality between mind and body through this neurochemical communication network. The mind deals mainly with the conscious thought process although influenced by the body, and it generates many of the neurochemicals associated with our emotions; the body, we now know, is the unconscious mind, storing past powerful trauma and emotions in its memory, although it can be accessed consciously by intention. This turns out to be a key in fibromyalgia recovery and therefore the Mind Body Connection becomes the fourth element of my fibro recovery protocol. You can learn much more about the science underlying the Mind-Body Connection by clicking on Mind Body Science. I'd suggest you do that later, however, if you are one who loves the details of how our bodies work and the basis of the mind body connection to fibromyalgia. A few years back when my fibro was especially severe, I felt I was “stuck”. The pain I experienced from what we call “the activities of daily living” (ADLs) had caused me to question my exercise routine for fear of a fibro flare; that is intuitive to all of us who suffer with fibro. I decided that I would have to act more non intuitively. What would happen if I re-evaluated my fear of fibro flares, found ways to work with it, pushed on through, and made my workouts more of a priority within my wellness plan ? After all, what I became more acutely aware of was the fact that it wasn't the structured exercise that caused flares; it was the environment, ADL's and other things that are so often out of our control. I had to take back as much control as possible. However, it wasn't merely about "pushing through". I had to figure out the right exercises not only for my body, but for other fibro bodies as well. Range of motion, cardio, muscle activation, and light stretching are all individually important as is consistency, the key element to fibro fitness. I eventually learned that by starting slowly, with patience, and a positive focus, my flares due to exercise could be minimized. My fibro pain began to subside. I began to have more “good” days than bad ones. And, a very important point is that I learned that the pain from ADLs did not predict the pain of exercise. I then studied and became a Certified Personal Trainer and set about to develop my own fibro-tolerant, range of motion routines which I now include as the fifth and last major component of my recovery protocol that I’m sharing with you on this website. You can read more by clicking on Fibromyalgia Exercise. Close the page when finished to return here. You should study these sections carefully (starting with mind body connection) which you can do by clicking on them. I’m certain of the importance of all of the steps in my protocol in the process of creating a better quality of life with fibromyalgia. I've developed them thru much trial and error (and pain) and years of study. My certainty comes from the huge turnaround in my own life with fibro. I hope you decide to trust me and make a commitment to follow my protocol to a better quality of life....Also, join us on the facebook page not for just fitness, but also adapting to all activities of daily living. FibroFitPeople. Thank you for being here and believing in your greater magnificence. We CAN do this, even without a silver bullet.